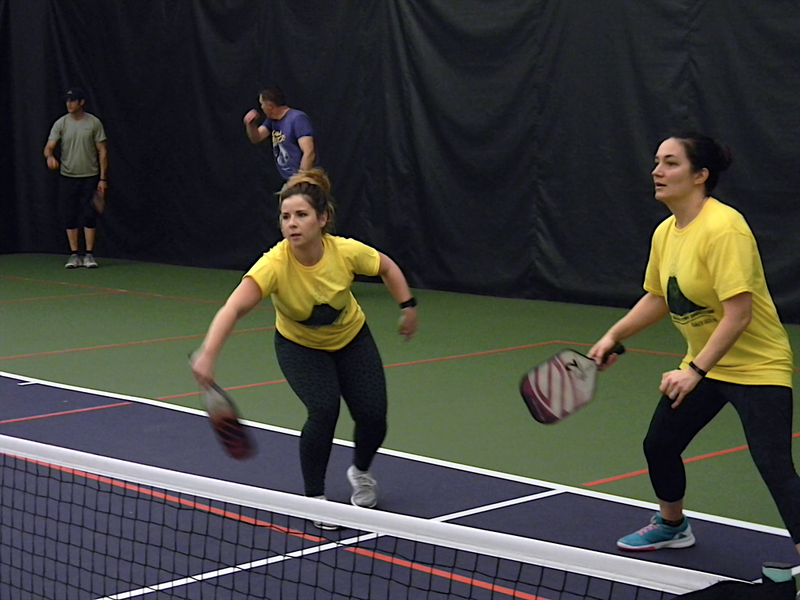 Pickleball combines elements of tennis, badminton and ping-pong. 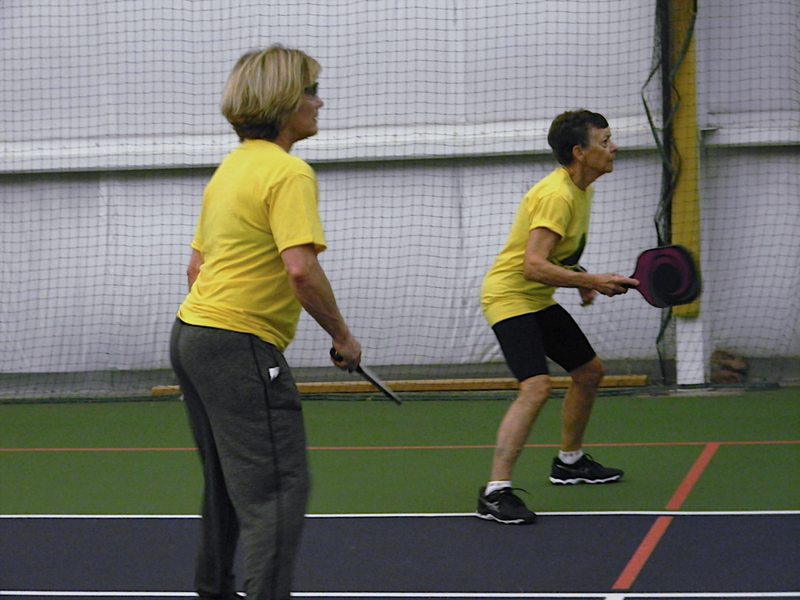 It's played indoors or outdoors on a small court with a paddle and a plastic ball with holes. 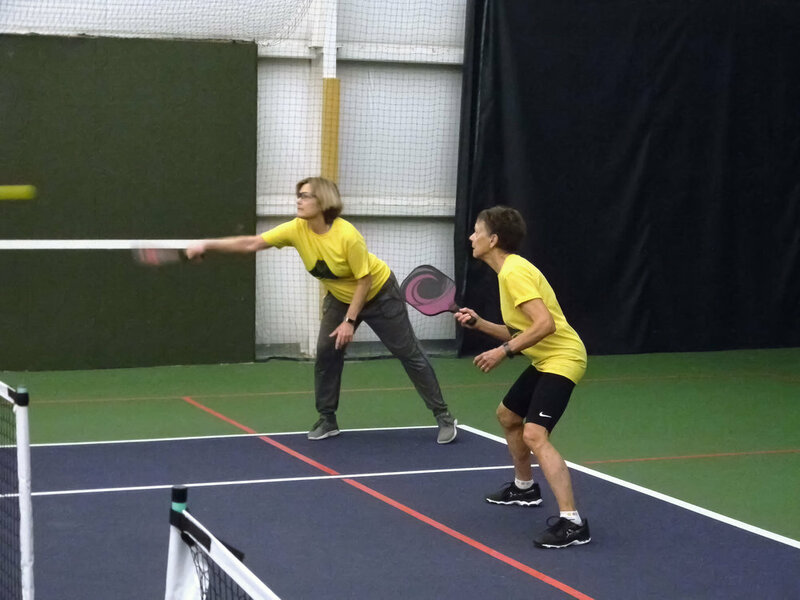 Whether you're a serious player or a casual pickler, you'll find great venues and friendly players in the Klamath Basin. 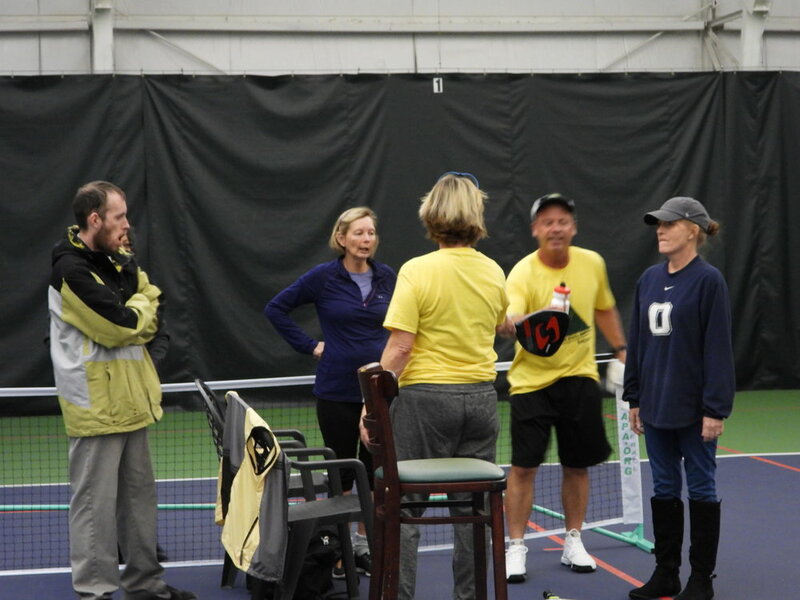 Several types of membership available - annual, monthly, or per session. Contact front desk for details. 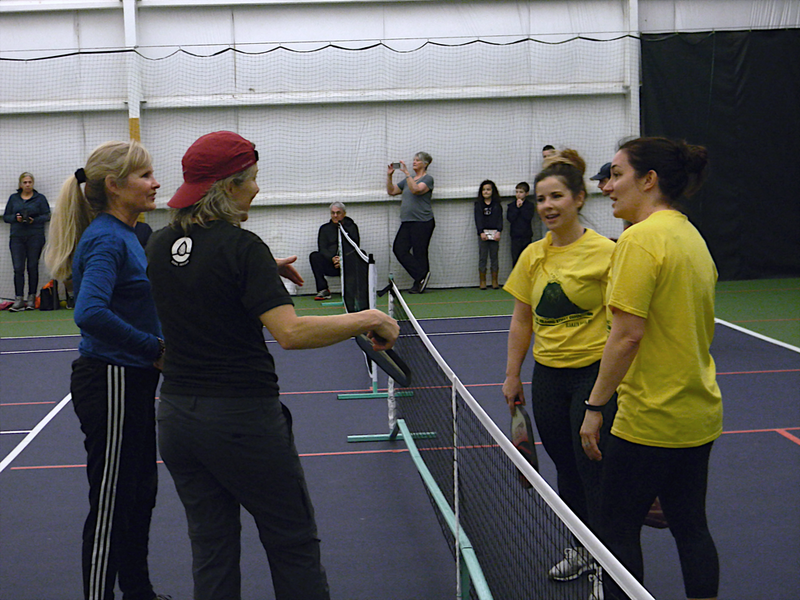 Donation recommended: 1st time attendee, beginner classes or travelers dropping in play free. Help us raise the money to see this new venue added. A great way to play when there are only two players. 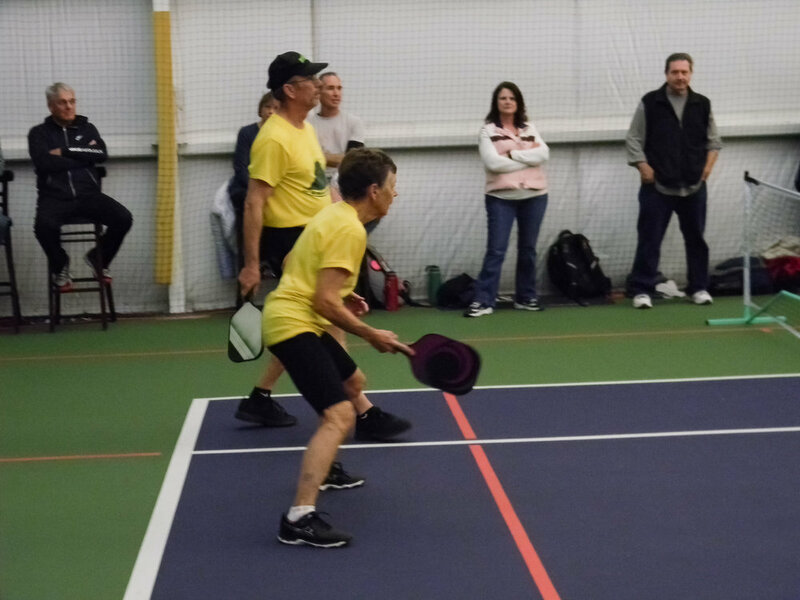 Skinny Singles is a pickleball drill that uses only half of the court, and is great for players who are looking to improve. 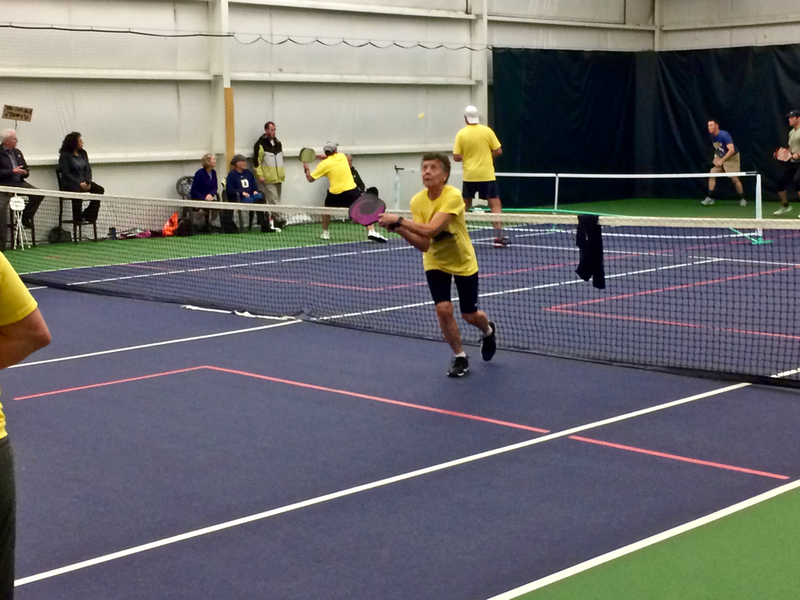 Skinny Singles offers less exhaustion than regular singles drills where players must move around the whole court. 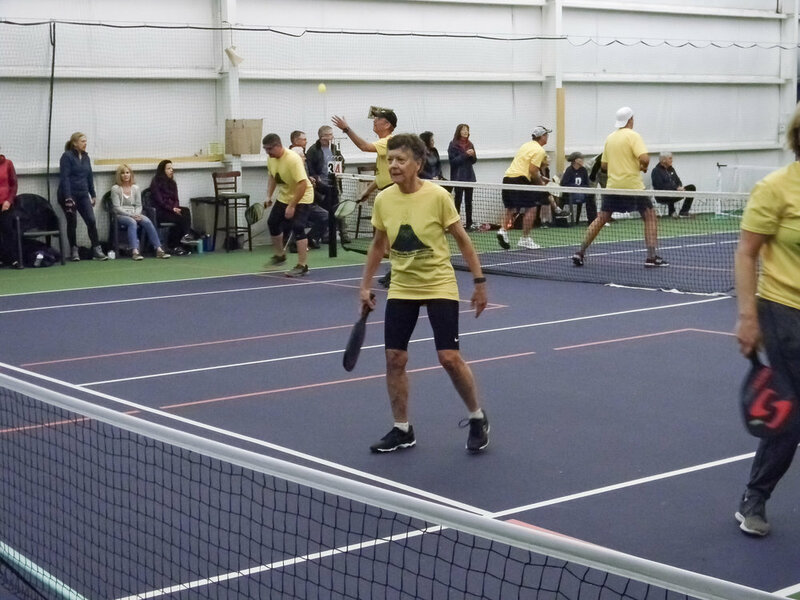 The Klamath Basin Pickleball Association is active in creating new courts and providing plenty of opportunities for play time. With 100+ members, you're sure to find plenty of partners and matches! We're a fairly new club, but we're very active. Check out what we've accomplished! 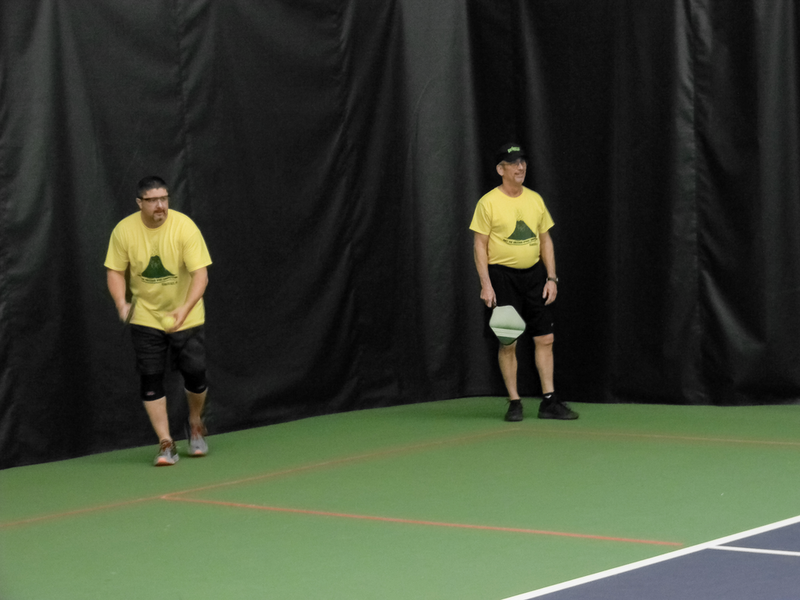 Mike Hoxie Pickleball is Great! Hudson Tax & Accounting, Inc.